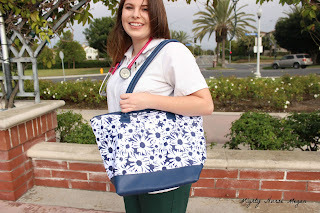 This is the Code Happy tote in a daisy print. 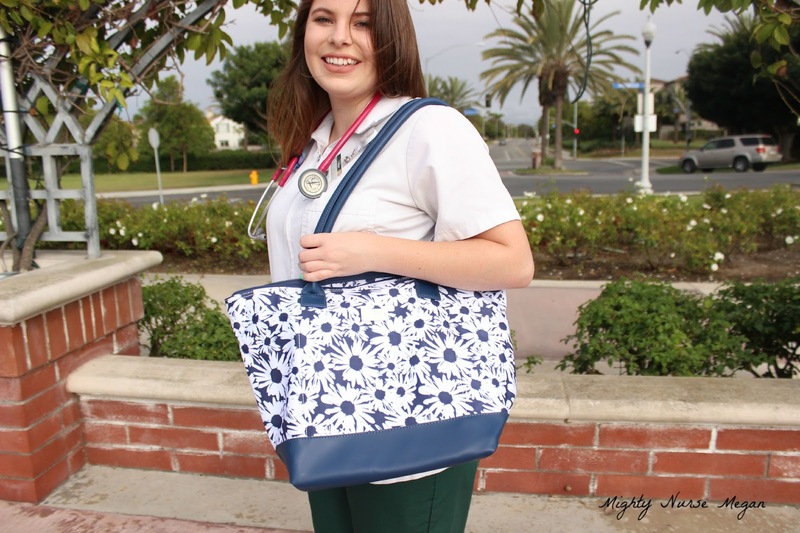 The bag is made with certainty technology meaning it is antimicrobial and water resistant! Woot! It features a zipper closure, an exterior cell phone pocket, and two extra large inner pockets. This bag has tons of space! 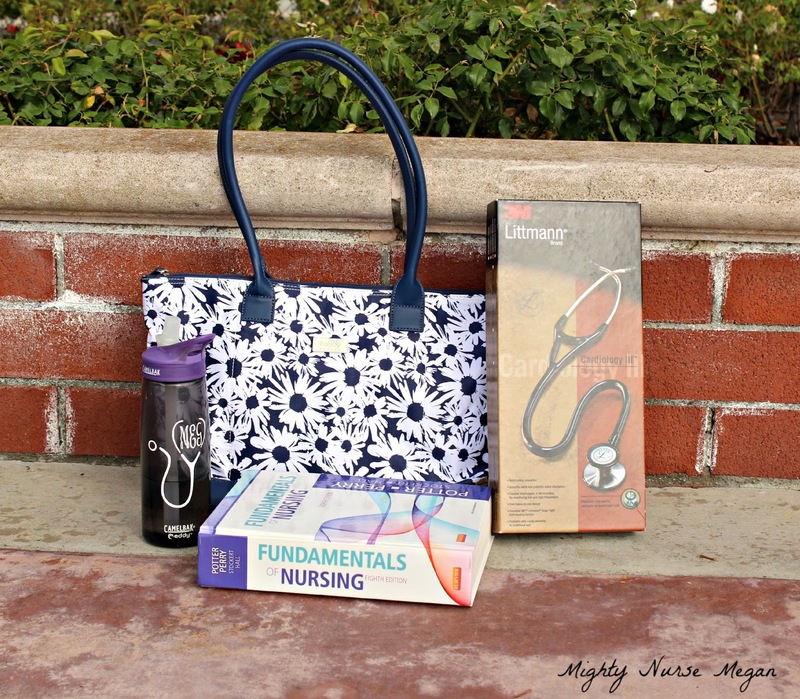 I can fit my notebook, lunch pail, water bottle, and have room for other items as well. The handles are on the longer side, but feel really durable. I love that this bag is fashionable and yet reasonable for the hospital. Want to get one for yourself? Allheart has the best prices and has it in stock!!! There are three different designs to choose from. Check it out here. Code Happy also offers a larger size that you can view here. Personally I cannot imagine why you might need more room. Please note: This bag was purchased with my own money and am not being compensated for this review. Everything is honest. Really? I wonder why you are not able to. I've heard good things about thirty one before.